If your Subscribers seem stuck, here are some things to try. "My Subscribers aren't moving forward." Whenever you see waiting Subscribers in a Visual Automation, it means that they have completed the previous step, and there is something keeping them from entering into the next step. Likely, not all conditions for that next step have been met for them to be able to proceed. So let's take a look at why they are waiting! 1. Automation is currently Paused and not set to Live yet. Toggle Live in the top right corner of your Automation to get those Subscribers moving forward. Once you toggle the Automation to live, then the Subscribers who are waiting will continue through. 2. Subscribers are waiting because the next step is a Sequence that still has Drafted emails. Only Published emails go out to Subscribers. 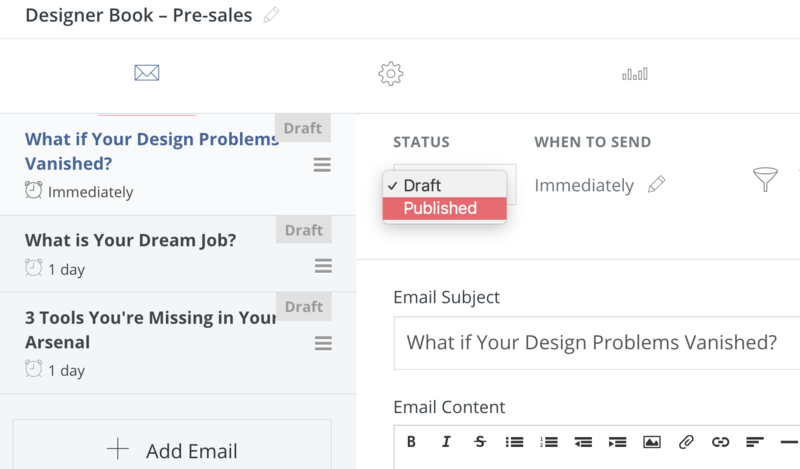 While your emails are still in Draft at this point, take this time to make sure your delays are setup how you want them before you set the emails to Published. Once you publish the emails, Subscribers will be added to the first email. 3. The first email might be a multi-hour (or multi-day delay) that needs to pass first. Keep in mind that people don't get added to Drafted emails, only Published emails. As soon as someone gets added to a Published email, they will wait the amount of time that is on the "When to Send" setting. 4. Subscribers are waiting because the next step is an Event step (red) and not an Action step (green). Subscribers only move to Event steps when meeting the requirements for that step. Learn more about Events here. Note: If your Automation is Live, and the next step is an action step that is ready for them, it could possibly be a timing issue. The ConvertKit App updates itself in terms of numbers, stats, and reports on a half-hour basis to reflect numbers correctly. So, it's not quite real time. Give it a little time. Check back in your Automation a bit later, if you have confirmed you checked everything on that list above. They should move forward shortly! Otherwise, reach out to us and we'll be happy to take a look! Last Note: Automations do not work retroactively. 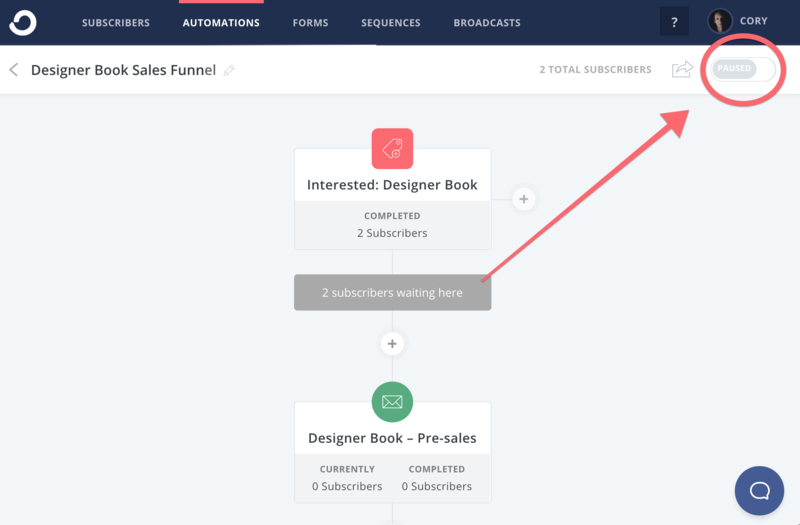 If your Subscribers were already on the entry point that your Automation begins with, they will not be pulled in—because they were already on this step before you created the Automation.